The Gospel of John, with a cover design especially created for sports enthusiasts. Features modern graphic design throughout with oversized digital-styled chapter numbers to enhance readability. This cover features all four of America's favorite pro sports. Baseball and football are shown on the front, with hockey and basketball on the back. Shown are the front and back spread. 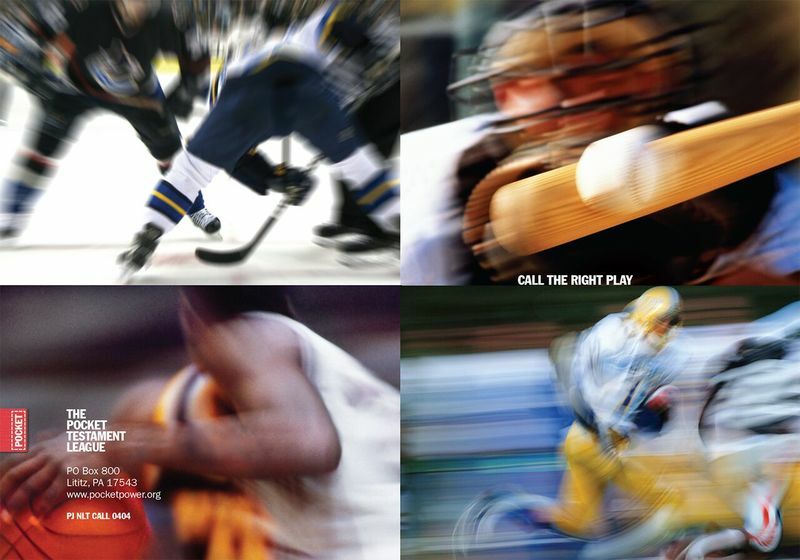 The words "Call the Right Play" are understood by everyone who knows professional sports.